Bruce Lee’s NARA file available online! I love the National Archives, and you should too. It is one of the absolute must-go-to resources for Chinese American genealogy research if your ancestors immigrated around 1950 or prior. This is a treasure trove. One of the most interesting files to review at NARA is the revered Bruce Lee. 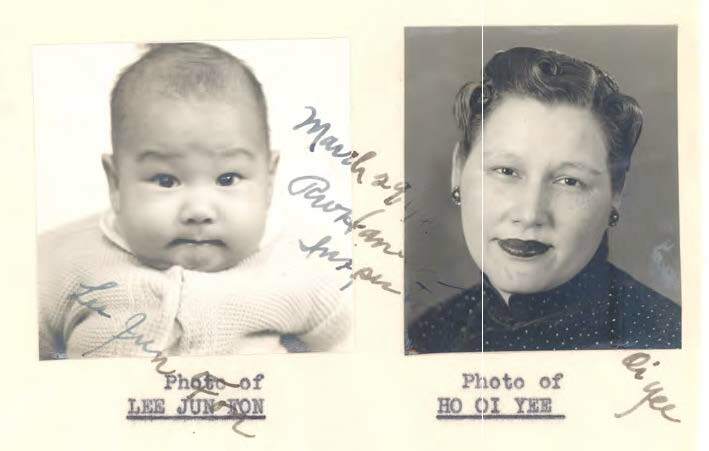 Though he was born in San Francisco, making him an American citizen, the former INS kept extensively detailed records on anyone of Chinese descent traveling in and out of the country during the Exclusion Act era. Now, you can download and read Bruce Lee’s file and read testimony from both his parents, courtesy of the National Archives and Records Administration’s website here. One thing that is always apparent after viewing this file is the fact that Bruce Lee was not 100% Chinese – did you know that? His mother was of Chinese and Caucasian ancestry, and it is clear in her photos in the file (as a hapa person, I am easily entertained by learning about other hapas, especially those who have become as widely known as Bruce Lee). Sometimes hapas get flack from inside and outside their communities for being different, not Asian or Chinese enough, definitely not white enough, and once we get over this identity crisis hurdle, we finally realize (or at least I did), I have a lot of different genealogy I can be researching! And that in itself has helped me become a better researcher, just being open and interested in all my ancestors, wherever they came from. You can view one version of Bruce Lee’s family tree here. Bruce Lee may not of Hoisan ancestry, but this is still fun to share. Lee’s father was of Shude/Sundak, Guangdong, China. Lee’s mother’s ancestry is unclear and numerous rumors abound. Here is an article that has some interesting ideas about Grace. Posted in Chinese, History, Web resources. Bookmark the permalink.